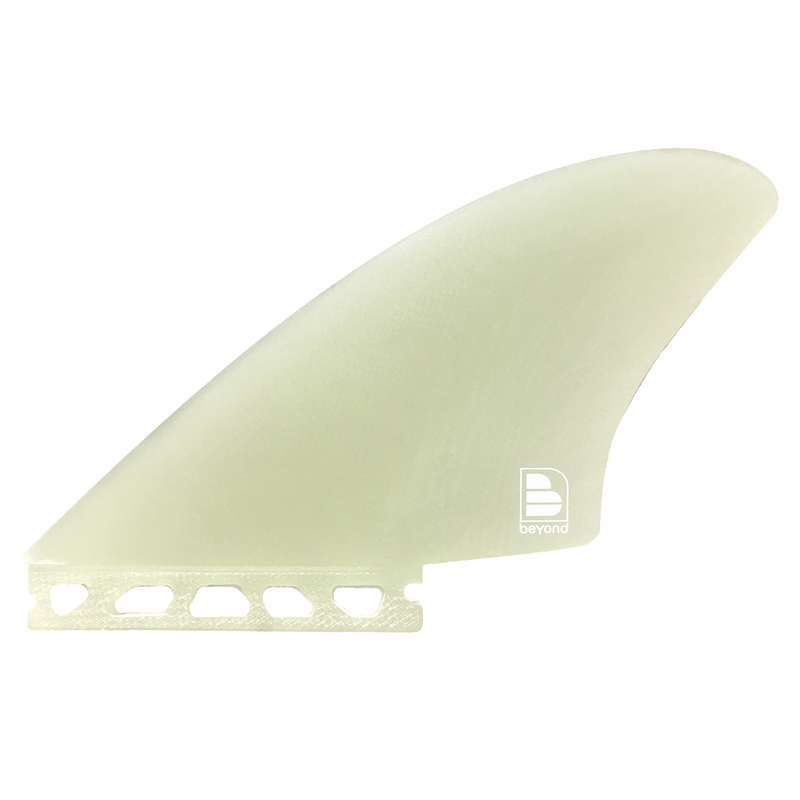 Beyond Volan Keel Fins - Futures compatible in a modern design. A class act. The Beyond® KEEL Fins in Volan – modern design in old-fashioned fashionable volan cloth. Beautifully made and hand crafted with with 12 layers of hand laminated volan cloth from yesteryear. We’ve left the underclothes off to let the classic volan colour shine through. Designed for extra long lines from Twinnies, Bonzers and modern fish designs where drive and easy transition is required. Flat foiled inners, and easy-foiled outers give noticeable speed and less drag, especially over concave or channeled bottoms. Also in FCS base designs. Total, visible unalloyed quality. An exceptional class act. The Beyond® KEEL Fins in Volan – modern design in old-fashioned volan cloth. Beautifully made and hand crafted 12 layers of hand laminated volan cloth from yesteryear. We’ve left the underclothes off to let the classic volan colour shine through. Designed for extra long lines from Twinnies, Bonzers and modern fish designs where drive and easy transition is required. Flat foiled inners, and easy-foiled outers give noticeable speed and less drag, especially over concave or channeled bottoms. Available in FCS and these Futures base – in limited quantities.